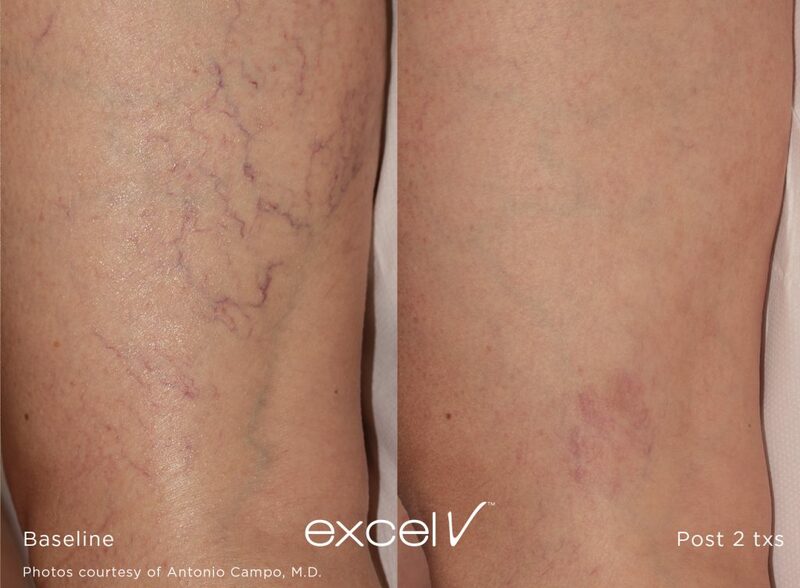 Spider veins on the legs have a red, (telangiectasia) purple or bluish (venules) colour. Although they are often painless they can be unsightly and difficult to conceal. Many people are very embarrassed about the unsightly veins and avoid activities where they might expose their legs. Some spider veins may be red webs on parts of the legs. A common condition, spider veins form from either a restriction in circulation or weak veins. In both cases, blood flows into the vein, but can’t flow back out. That restricts the blood’s circulation, causing it to stay in your vein, which makes the vein visible on your skin’s surface. Certain individuals may have a predisposition to spider veins and heredity may influence their development. Women develop spider veins more than men. How does laser work to treat Leg Veins? At the Laser Skin Clinic we use the award-winning Cutera Excel laser to reduce the appearance of spider veins. 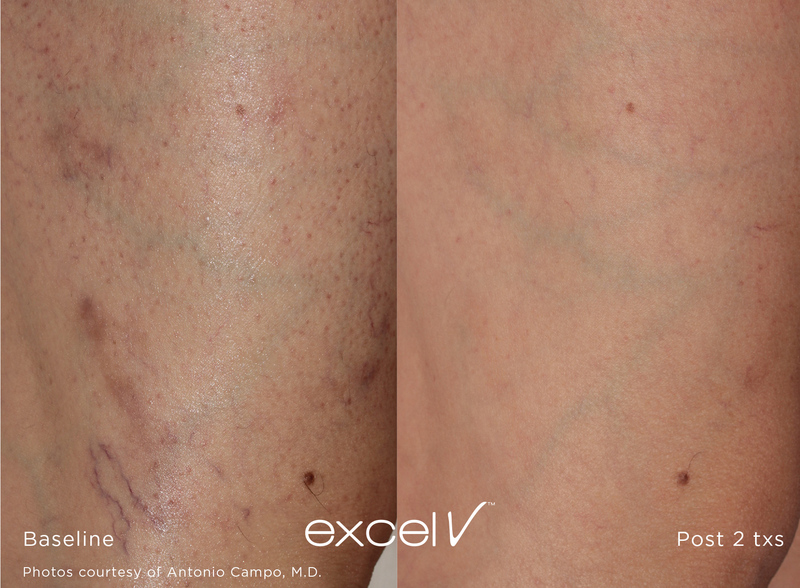 Cutera Excel uses laser light to penetrate spider veins beneath the skin, flooding them with energy to clot the blood causing the spider vein. This clotting stops the blood flow, causing the vein to shrink over a period of 4-6 weeks after treatment. The Cutera Excel is effective with minimal discomfort due to the laser’s technical design, treatment parameters and special cool tip handpiece. As your spider vein closes, your body naturally redirects blood flow through healthy veins and absorbs the spider vein. What is my skin like after the treatment? Immediately after the treatment the area becomes red with some minor swelling. The treatment is minimally-invasive and typically doesn’t require downtime, and you can resume most of your normal activities the same or next day. Because of the redness and swelling of the vessels we do recommend that you wear trousers if you don’t want others to notice that you have had a treatment. For the treatment it is best to wear a light loose skirt or bring one with you to put on during your treatment. Refraining from hot tubs, spa’s and sauna’s. Although laser treatments can remove your spider veins, they can’t prevent future spider veins from forming. Minimise or stop activities that restrict the circulation in your legs, such as sitting with your legs crossed, smoking, and being overweight. If you must stand for extended periods you may like to wear support stockings. Move throughout the day and engage in regular exercise may also reduce your risk of future spider veins.